it has been a much needed dose of crochet therapy! and rather pleased I am! thinking I have the blanket ready even before baby is born! I think all my family will be getting them for presents now! and it pleases me so much to know that you enjoy! 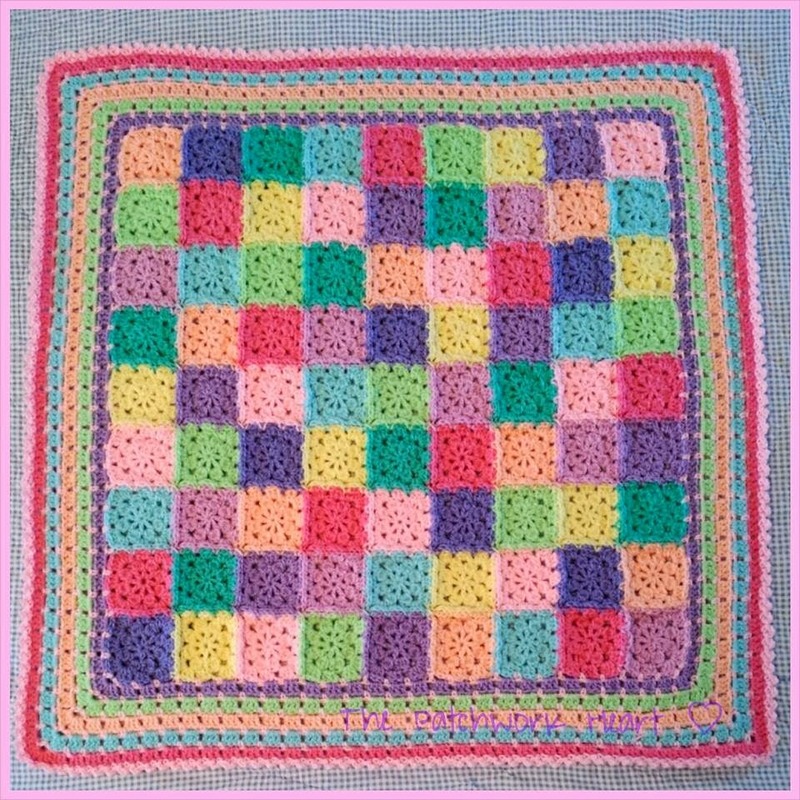 I love your hexi blanket very colourful. I've been working on granny squares in the garden today and now back to my granny stripe as it's chilly. 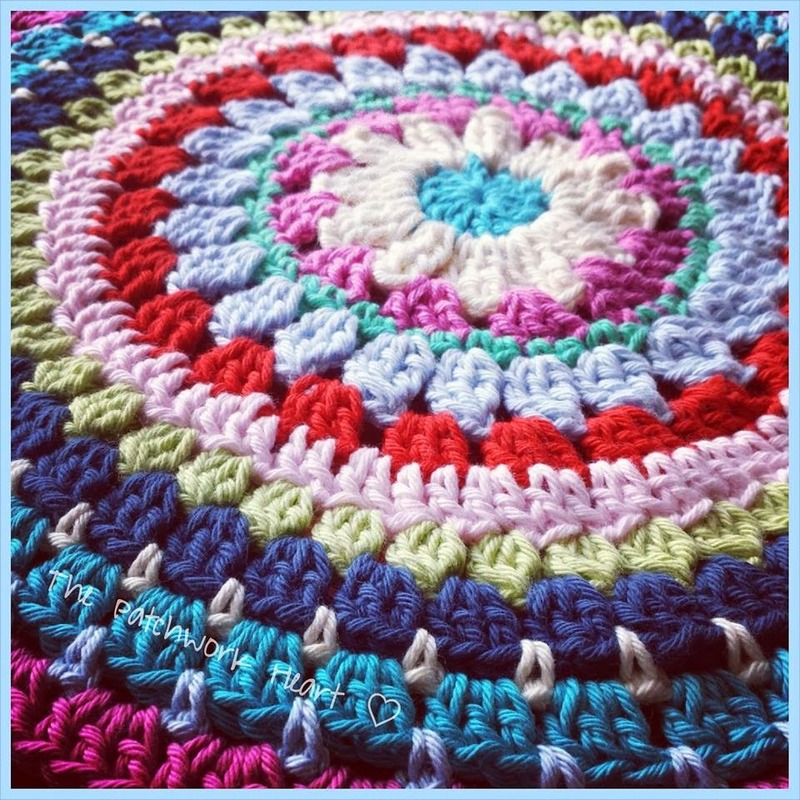 All your crochet makes are so gorgeous. I do love the colours that you choose. Have a happy hooking week! What a busy weekend! You are a real inspiration, and your work is so beautiful. I did manage to finish a project, an afghan for a friend's 50th birthday which was on Thursday, luckily her party was not until yesterday evening, it was completed yesterday lunchtime (talk about the skin of your teeth) although we have been away for just under a fortnight. 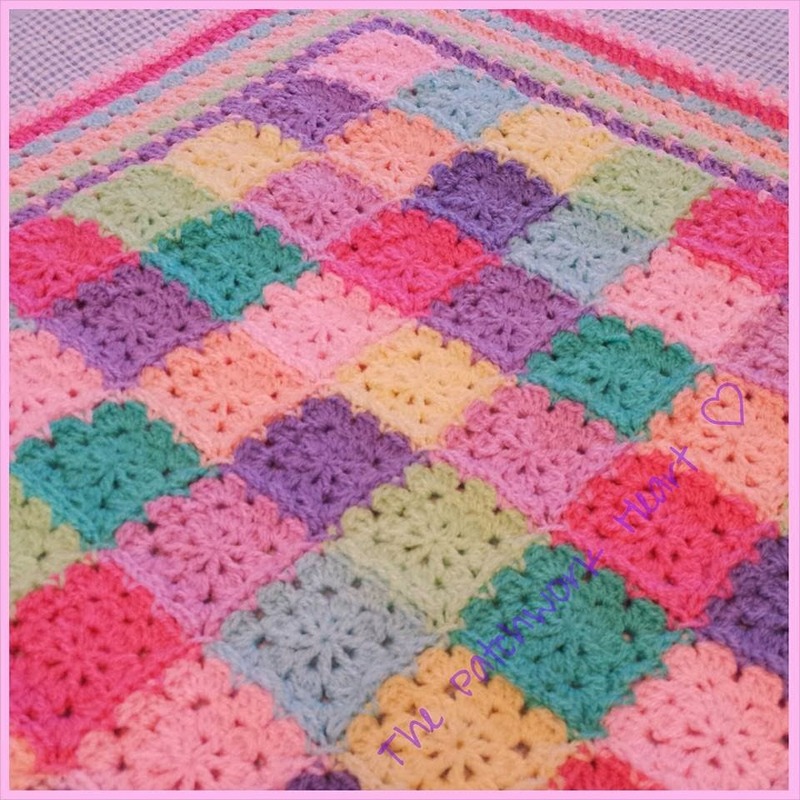 Today, I have finished sewing all the squares together on the previous (almost finished) blanket, so although I still have the border to do I feel like I have really achieved a lot!! Cannot wait to get started on a new crochet project. Lovely lovely makes Heather. I have so enjoyed looking today! Love the new baby blanket! So pretty with all the pastels together. Beautiful. Love the granny stitch teapot cover too. 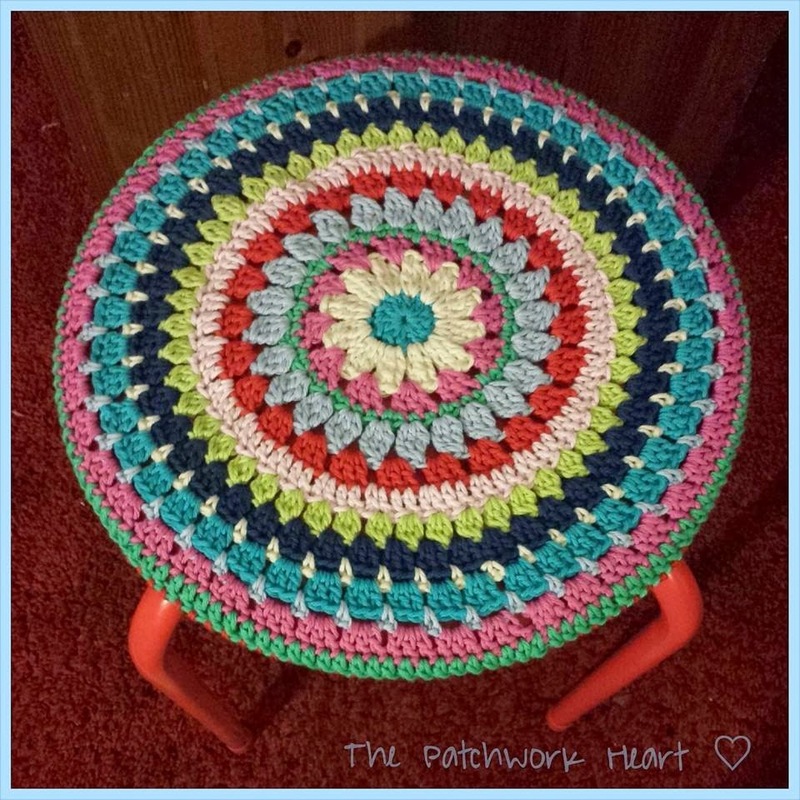 I've loved looking at all your crochet goodies. Everything is so pretty! I'm your newest follower. They all look so good, well done. Hello Heather, I love lazy mornings with coffee in bed and I did just the same yesterday, and today as I am on annual leave from work for two whole weeks. It's so lovely to be away from the grind of being busy that work brings. 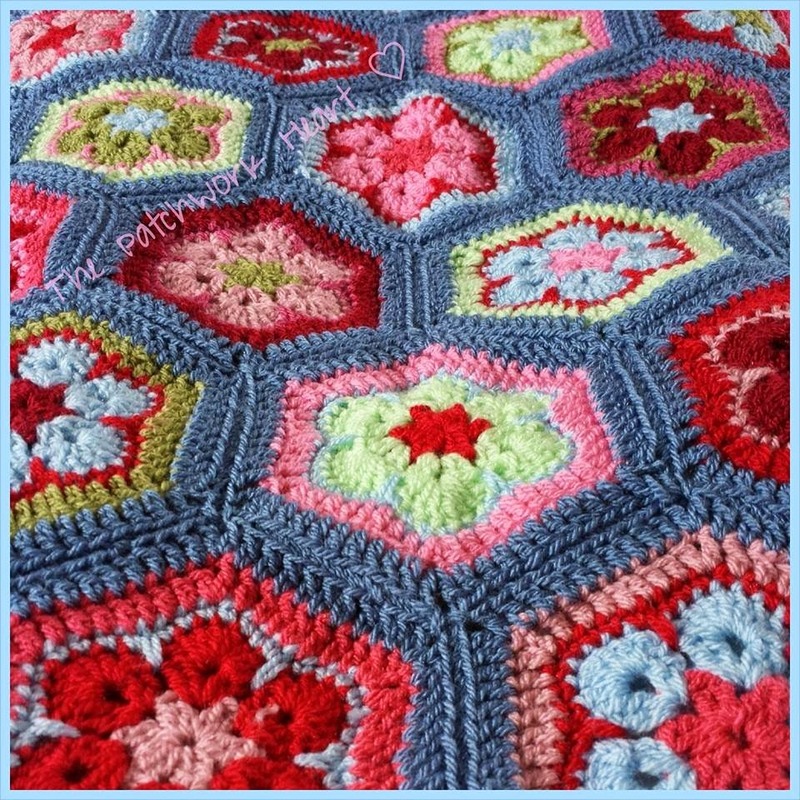 Your Hexagonal blanket is beautiful, I love the colours you have chosen, it is a bright ray of sunshine. 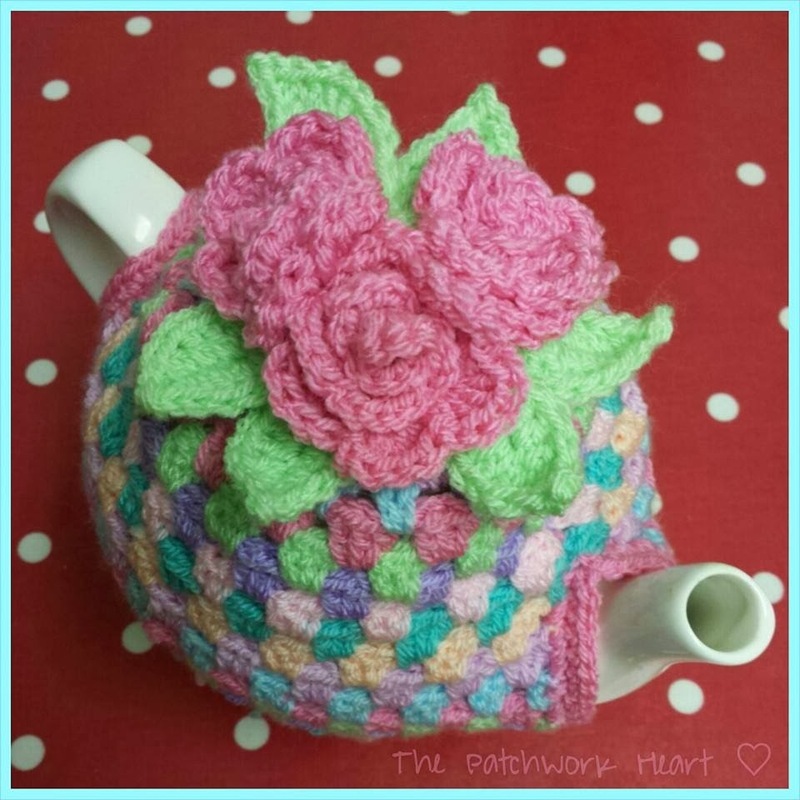 The teapot cosy is pure fun and I'm sure your customer will be delighted with it. You can be very smug about your baby blanket, it's so pretty and colourful and ready before baby is born, well done, great work. I just may steal your stool/side table idea, such an easy and quick transformation. I have been working on a knitting project this weekend and I'm having fun with colourful stripes. Lovely works Heather - you are an inspiration the way you keep producing such pretty makes. 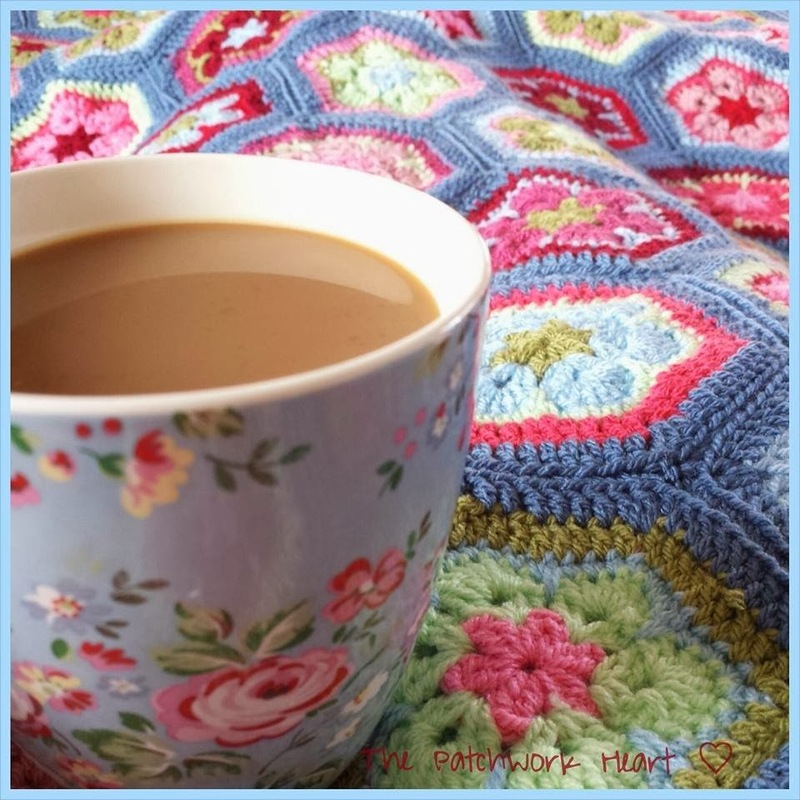 I love my coffee and crochet mornings - too much really - no housework gets done!! Beautiful and stunning makes Heather. I love your hexie blanket, the colours are gorgeous. The tea pot cosy is brilliant and far too nice to use. I am sure your customer will be delighted. And, wow the baby blanket is stunning.